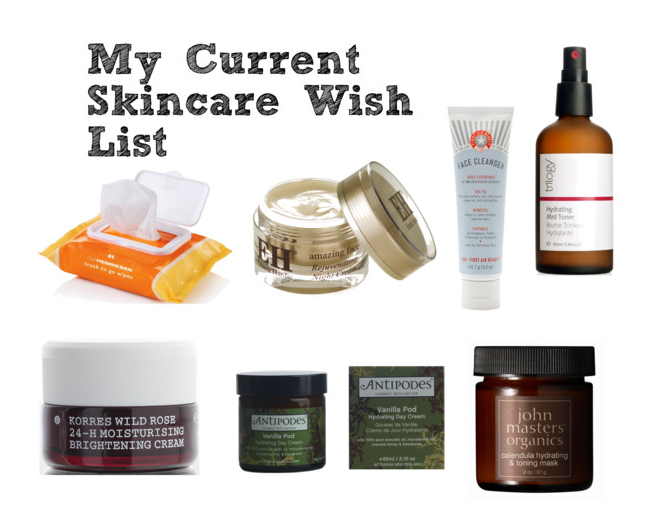 Happy Tuesday to you all, and today I will be sharing with you my current beauty skincare wish list! I have complied together a collection of products that I have heard work a miracle on your skin from fellow bloggers and reviewers, so these are what I am currently in love with and would love to get my hands on. As I have not tried any of these products I am not going to be talking too much about them, however if you would like a bigger insight on the product then feel free to Google reviews about the products, as I am sure many bloggers would have written about them. The products that I have chosen are reasonably expensive, so if this particular collection isn't your cup of tea and you would prefer a drugstore substitute, then I am more than happy to create one, just comment down below to let me know! I have also had an idea in mind of creating collections based around certain beauty and makeup products (lipsticks, foundations, moisturisers, cleansers, etc.) that can be both my recommendations and my current wish list of those particular products. This way it just covers one specific product, so that way you can have a deeper look into a collection. Hopefully that makes a little sense, but if not you will see what I mean in the near future when I post them! If anyone has any suggestions of beauty posts that you would like to see on my blog, then please feel free to comment down below and I will definitely take them into consideration. I found all of these products off Feel Unique, which is an online makeup and beauty site that allows you to browse a great range of products that might only be able in the UK or US, but with international shipping you can receive them straight to your door step anywhere in the world, which is fantastic! Even though all of the following products are off this site, I am sure that you can find them in stores near to where you live, which might make it a lot more accessible. It is a universal website that is easy to access and allows you to see a visual of the product, so you know what you are looking for if you’re interested.